In brief: Friday was all about packing up and moving on to Rhodes. Leaving the beautiful island behind, I give my final thoughts on such a wondrous place and it’s importance to the world. I woke up in Symi that morning determined I would be able to continue my new ‘treasure hunt’ hobby before setting off for Rhodes. I’d been keeping an eye on the geocache website to see if anyone had been to the two locations I had already “found”. So far, no new logs. Two more finds were within reach; one on a hillside in clear view of the town (in view of muggles). Another was in the catacombs, a fair hike away but seemingly easy to reach. My main problem was time. I had packed the majority of my stuff the night before, but there was still stuff to do. If I wasn’t out of bed by 9am, this day wasn’t going to happen. I got up at 11am. There was no way I was going to make it down the Kali Strata steps, walk through the town and then risk a hike along footpaths I hadn’t been on, before heading through an ancient site full of photography opportunities. And after all that I’d have to head back again. On top of that, I still didn’t have a pen. Was it going to be worth my time getting all the way there and not being able to log the find in person? You can see already that I had talked myself out of it. Both of them. Mind you, I was on the verge of heading out the door. One of those fork-in-the-road moments. Do I? Do I not? But it came down to how nackered I was going to make myself by trekking several miles around the island and then heading back up those 360 steps to grab the bags. Even then, the day wouldn’t be over as I’d have the transfer to Rhodes to complete too. In the end I took the time to pack. Slowly. The lovely people from Symi Visitor had invited me to their “end of the season” party. It was scheduled to be onboard Poseidon, and “the more money in the fuel kitty, the further he will take us”. I’d already been onboard Poseidon for the island excursion and knew their food was excellent, as well as their company. Sounded good to me. And if I was able to buy Ian, The Saviour, a drink for being the rescuer of the now-fabled arachnid hostage situation, all the better. To top it off the weather wasn’t to break till the middle of the next week. But things had changed quite rapidly after the discovery of the ferry schedule. 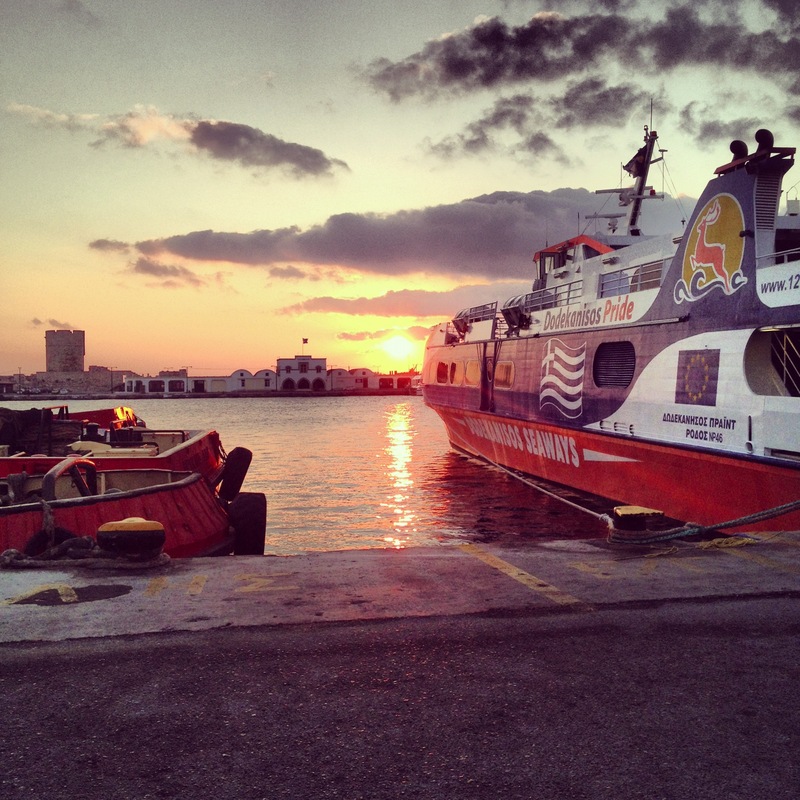 With the plan now to go to Rhodes on Friday evening, it meant I would miss the party on Saturday. Such a shame. It would have been a nice way to round off the Symi adventure. A few emails and calls later my arrangements were changed and the taxi was to pick me up at 3.30pm with the Dodekanisos Seaways Express catamaran scheduled for departure at 4.30pm. I would have quite happily attempted the Kali Strata stairs with a rucksack and extra bag, but the transfers were already paid for. And it made sense not to expel more energy than required. I did have a moment of panic. Everybody I asked about buying a ticket pointed me in the direction of the only kiosk on the island to sell them. It was closed. Outside the kiosk, a little girl practiced her best dance moves and shouted “CLOSED!” in time with her imaginary music when I gestured toward the kiosk. “CLOSED!”. The look of panic on my face caused her to shrug her shoulders in time with her music. “CLOSED!”. It was Cute. And annoying. So I walked back to the catamaran to enquire again, lugging back the heavy rucksack and camera bag on one shoulder. For the second time a now-angry(ish) member of crew pointed over to my shoulder towards the kiosk, mumbling in non-English. I sighed and shrugged myself. A sign of defeat. Sure as hell, as I turned around, the kiosk was open. Like some form of choreographed magic show. A segment I suggest would be called “trick the tourist“. Normally I like magic. That was rubbish. To top it off, as I approached the kiosk to buy the ticket, inside was a young lady with a big smile. And the little dancing girl perched by her side. “HELLO!” she proclaimed. She’ll probably never know the dread she helped set deep in my stomach. At 4.30pm, we drifted away and with that my Symian life was gone. I hadn’t expected to do frequent walking and hiking on Symi. But then I had no expectations whatsoever. Wonderful weather, gorgeous views, meeting new friends, finding hidden places (literally), eating fantastic food, discovering Greek history, snapping hundreds of photos, travelling to tiny islands and swimming amongst shoals of fish in the ocean are just some of the things I’ll remember from this amazing place. Symi is a dream destination. A tiny and largely unspoiled location, steeped with important history on every one of those Kali Strata steps. With real and pure archaeological and historical sites of genuine Greek importance, Symi should really be a place of study and documentation. But in our economical times, income of any form is as important now as any study. And so the tourist industry wins. It’s sad that holidaymakers have become a historical part of Symi. You could literally date the arrival of tourism by the designs of soft drink cans and bottles strewn along the northern cliffs. With the beauty that Symi has, I understand the feeling ex-pats describe when they made the decision to stay. I only hope the history stays long enough for more people to have some sort of experience similar to what I had. Dragonflies, butterflies, lizards and cats. It was yet another delayed rise this morning after last nights late adventures out for some night photography (which turned into an unexpected part 2 of yesterdays blog, just in case you missed it). My ambush this morning wasn’t kittens. It was lizards. About a dozen, like some fabulous piece of living mechanical clockwork, stepping in time to what I imagined to be music similar to Summer Of Love by Steps. I have no idea why, that’s just what popped into my head when I was watching. The tall trees sprouting roots between the rocks behind the apartment appears to be a great location for the reptiles to congregate. And dance. The plan today (and these things were planned. Sort of.) was to head upwards. Downwards meant climbing back up again, and my lower half wasn’t prepared to get involved. 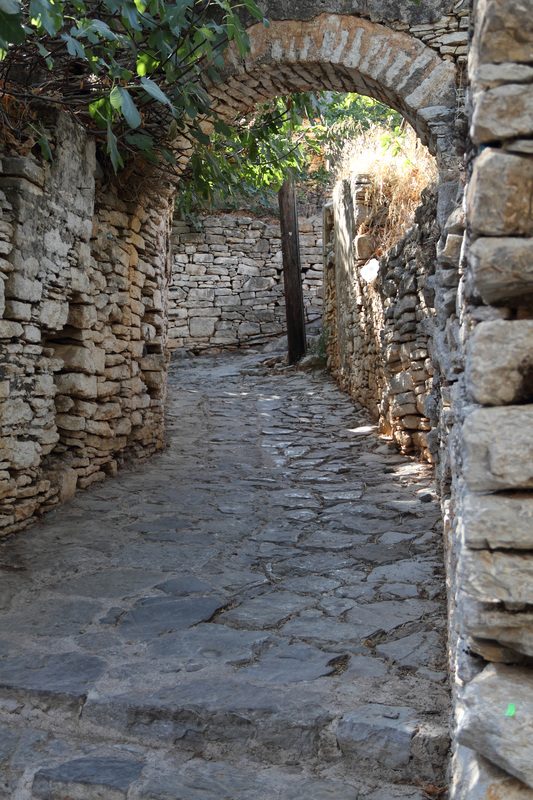 The endless ruins in the old town above were full of textures and destruction, perfect for desktop wallpaper photos. The term “rat run” fits perfectly, with routes shooting off in different directions. I had hoped to remember some of the walk from Tuesday, but it turned out that all roads lead to the same place. Or someones house. The locals appear used to strangers pulling apologetic foreign faces before backtracking. These unmapped streets could easily be the death of any foreigner. There are no sign posts nor does there appear to be any real route. Every so often a structure or home may have numbers above their entrance, a sign of some form of system to the chaos. Apparently this system came with the Italian occupation of 1912. Most of these numbers have been scored out, replaced by different numbers, and then another set. The numbers no longer represent anything other than history. For me, being up there created quite a bizarre feeling. I’m alone in the grounds of an empty church, high up on the slope of a valley, on an island, in the middle of the Aegean sea. And it was incredibly peaceful. Something I fear none of us experience enough. The acoustics of Symi, where the smallest voice can carry a conversation from the streets down in the harbour right up to where I was staying, were taking a while for my brain to get used to. But up there in the church grounds, there was nothing. Literally, the only thing I could hear was the wind whistling past my ears. It was wonderful. I spent a while standing in the sunshine and the silence, listening for anything I could hear. 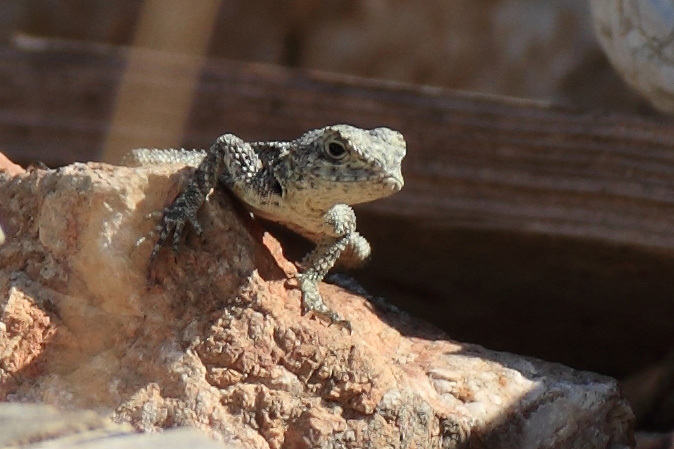 Very occasionally there was rustling on the ground as more tiny lizards bolted through the dust and dryness. They made me laugh, the way they would scuttle and stop mid-step, as if remembering some life-threatening information, before bolting off again. Perhaps to turn off the oven they just realised was still on. I was up there for a while. And having stood with the silence on my own, quite aware of all the sins and immorality that go on around the world, I considered the walk home again. Following a whitewashed path around the church I came across a small cave I hadn’t noticed before. Initially it looked like a bunch of stones were piled inside, perhaps some homeless persons attempt at a place to start a fire. Then I realised it was something else. Persons unknown had made a ship. Out of broken stone and tiles, using wood for a tall sail, the ships bow pointed east. The same direction the little fisher boy gestures in the harbour. I was suddenly aware this makeshift monument might have purpose. Of this, I am unsure. Further round below me, a dusty walkway presented itself. Treading carefully on broken stone on an unsteady slope I wandered down through some trees, with the inkling that I thought I recognised this place. It didn’t take long for the realisation to sink in that my apartment was a stones throw away. These trees were where I caught the dancing lizards. All this time, the place I was trying to work out how to get to was a mere two minutes wander through the trees behind the flat! Symi is a small Greek island with a population less than 2’500, is part of the Greek Dodecanese island chain and remains part of Greece, although it’s closest neighbouring land is Turkey. Why go on holiday to Symi? Normally I do things that other people don’t tend to do. Dog sledding in the arctic circle, desert trekking across Egypt or tall ship sailing around the south of Britain to name but a few. These are things I can appreciate as a single traveler. Symi was brought to my attention when I was looking for an isolated place with few people around where I could walk for days with my camera, unwind and eventually leave with a clearer mindset. It was a recommendation from someone who had been many years previous with his kids. I had a look online, considered the prices, and without much other thought went ahead and started communication with a tour operator on the island to organise accommodation. This is my diary of the adventure. I knew travelling to Symi wasn’t going to be too much of a problem. Having lived in London since 2001 I’ve known to sort travel in advance and have back-up plans. Fly Heathrow to Athens, fly Athens to Rhodes, sail Rhodes to Symi. 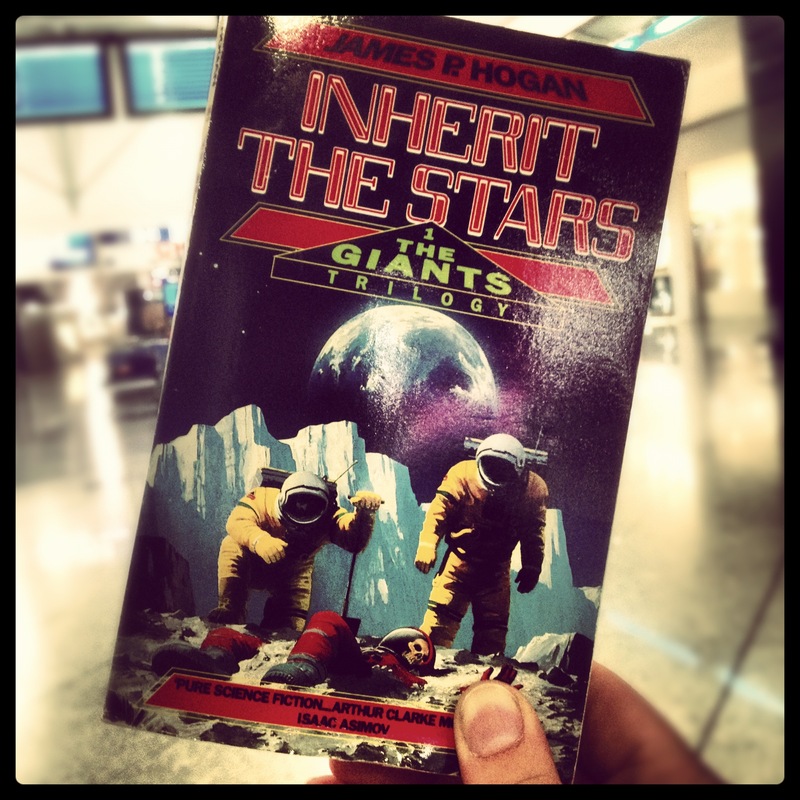 I made sure there was plenty of time between flights and so forth, and brought books to fill the time. Thankfully, it was as easy as that and there weren’t any problems or delays apart from the one hour wait in Rhodes for the catamaran to leave for the island. I had literally been up 24 hours when I arrived in Rhodes and my body was less than willing to appreciate the bright sunshine or the temperature of Greece. Stepping off the catamaran I was met by Ian holding up a ‘Symi Visitor’ sign, the company I had organised the trip with. Ian had been living on Symi since 1995 and so knew a great deal about the locals, the area and the history. I was hurried through the departing crowd into a taxi which would take me to my accommodation, with Ian following behind on a scooter. Ian kindly led me to the apartment and left me with a bottle of water, a carton of orange juice and a small bottle of white wine. Certainly one of the nicer greetings I’ve had in my time. Unfortunately for me I was so shattered from the travel I had barely unpacked my bags before I fell asleep in the apartment at about 11am, my body failing to wake again till late that evening. When I did eventually wake in this dark and unknown place, I peered outside at the stars above the island and listened to the chirping of the crickets before unpacking the rest of my bags. Part of me appreciated where I was. The other half of me disagreed wholeheartedly and was wishing it was somewhere else (my usual response to being anywhere other than my own flat).